Butler College would like to remind parents and guardians that our ANZAC Ceremony will be held tomorrow, Friday 12th April 2019 at 9.30am in the Pavillion. Visitors are welcome to attend and are asked to sign in at the front office. 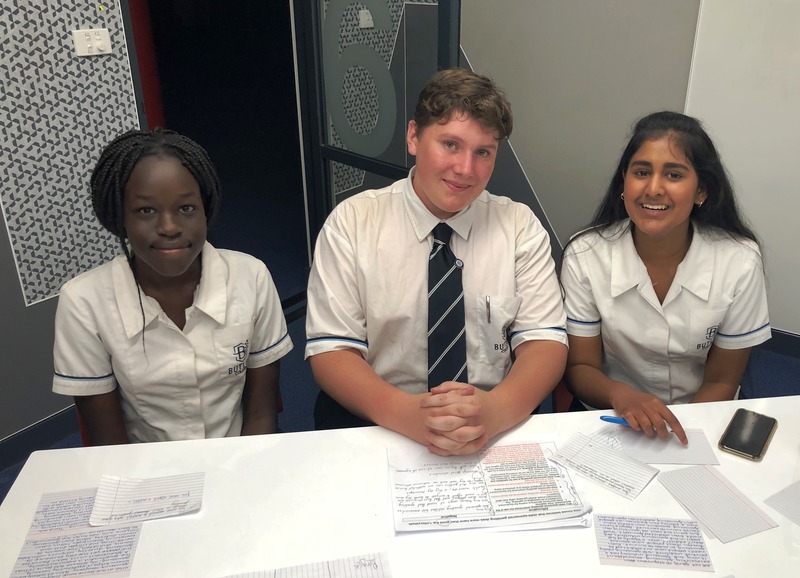 The Butler College Debating Club had another successful round at this week's WA Debating League Schools Competition. This competition attracts over 400 teams (2500 students) from over 75 public and private schools across WA, and has been running for nearly 50 years. Of our 8 teams, 6 came away with wins this week, against schools including Sacred Heart College, St Stephen’s School and Mindarie Senior College. Pictured is one of our senior teams who won their debate on the topic that 'state-sponsored gambling does more harm than good'. We now have 5 teams who are unbeaten and are on track to qualify for finals - we wish all our teams the best of luck for the rest of the season.